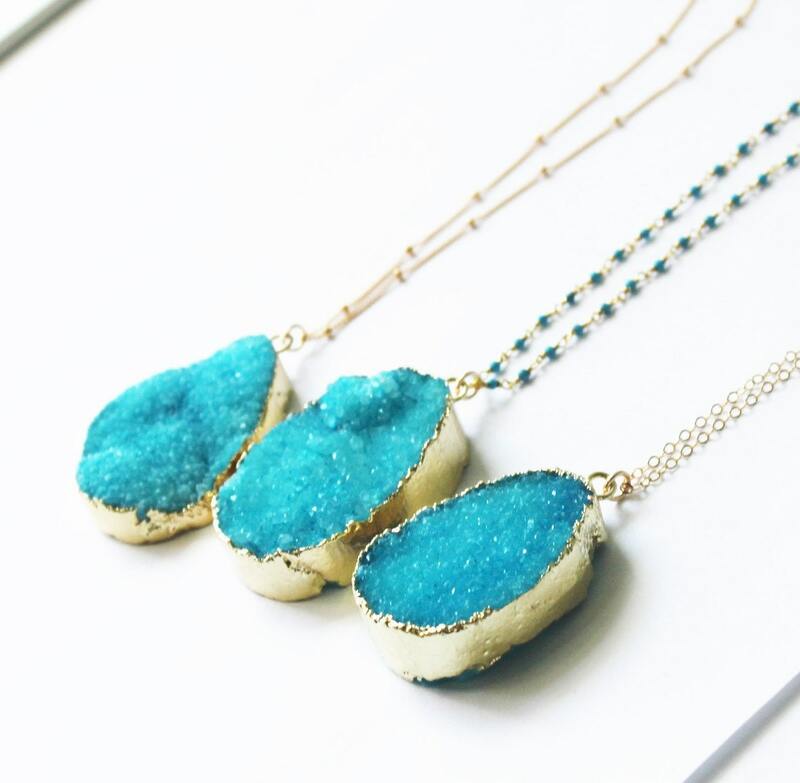 This gorgeous turquoise druzy necklace compliments any outfit and is a wonderful gift for yourself or someone special. 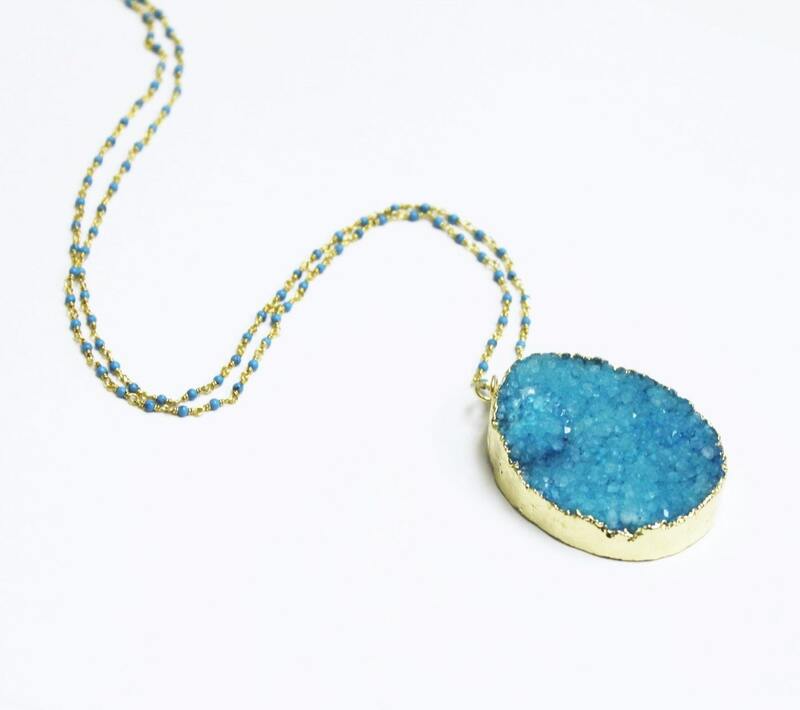 Druzy crystals are known to bring light and joy! 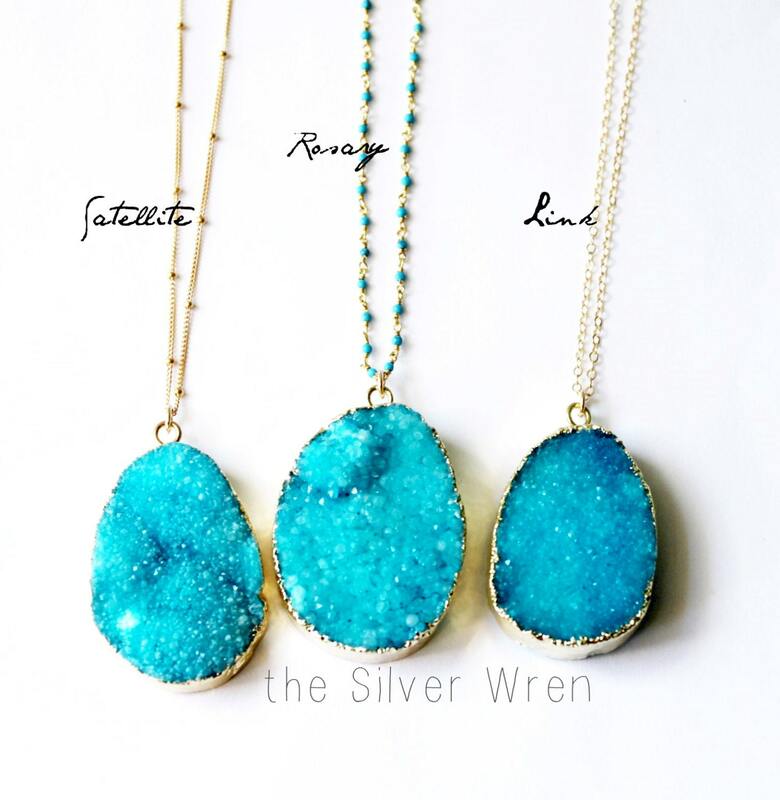 -Turquoise Druzy pendant - approx. 40mm by 30mm maybe slightly larger or smaller. 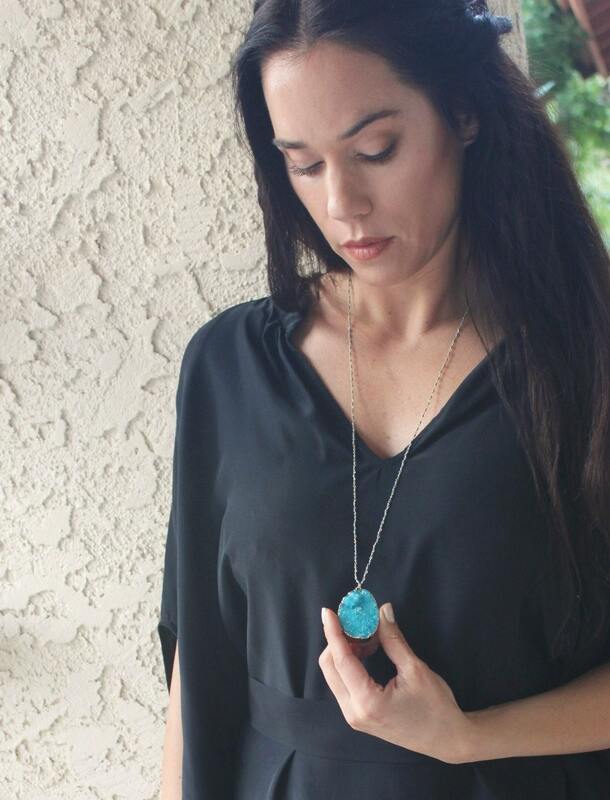 -Each pendant is different and varies slightly from the photo- these are natural stones that are perfectly imperfect. --Your choice of chain style, as seen in photo 3. 14kt gold filled shimmering link chain. 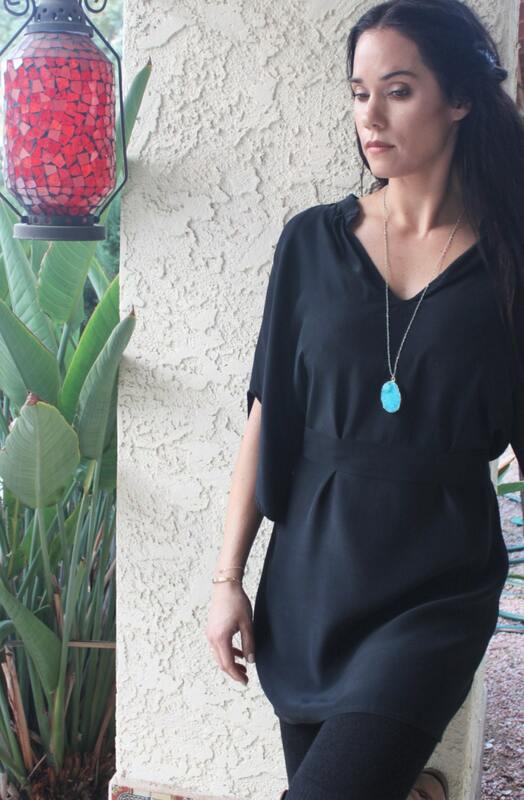 -Wear it layered with your favorite piece or alone for a bold statement. Very well made but I wish I would have gotten the smaller one, just a little big for my taste. I ordered this for my mom for her birthday and she absolutely loves it! It's her new favourite necklace! I'm a sucker for turquoise so of course I couldn't resist this turquoise druzy. The little blue beads on the necklace add a nice detail. Michelle is awesome to work with, and was super prompt with shipping out my order. Will be back for more!